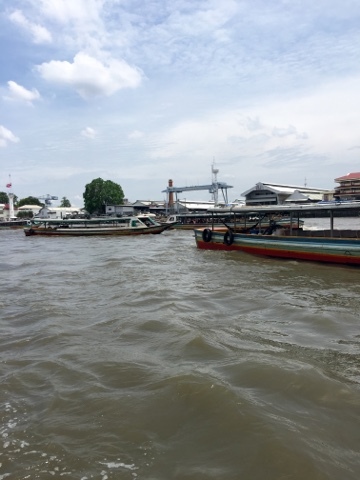 Off we go on the "Orange" ferry, for a one-hour voyage to Stop 30, the end of the line, at a cost of 40 cents each. 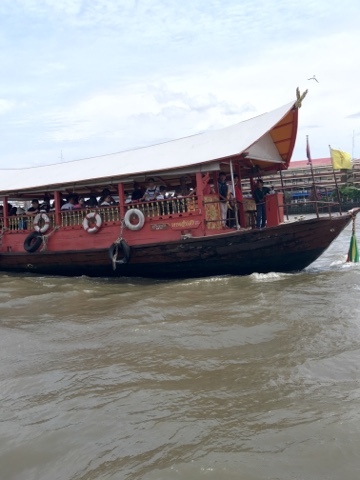 The river gets crowded at times. 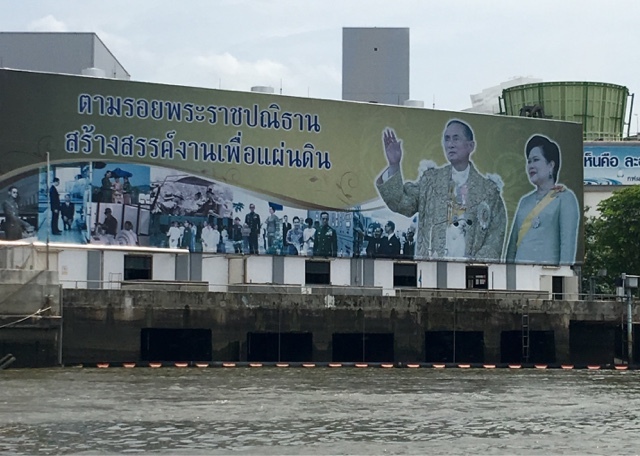 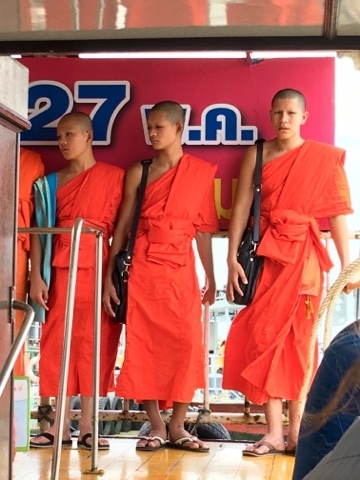 The King and Queen are truly revered in Thailand. 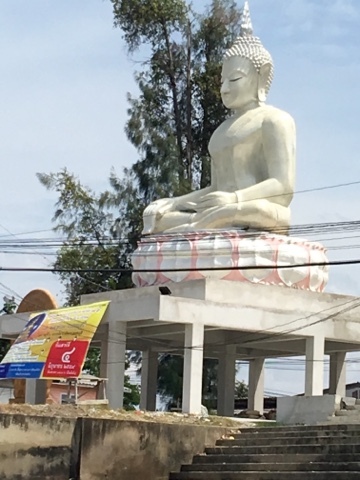 Pictures and statues are everywhere. 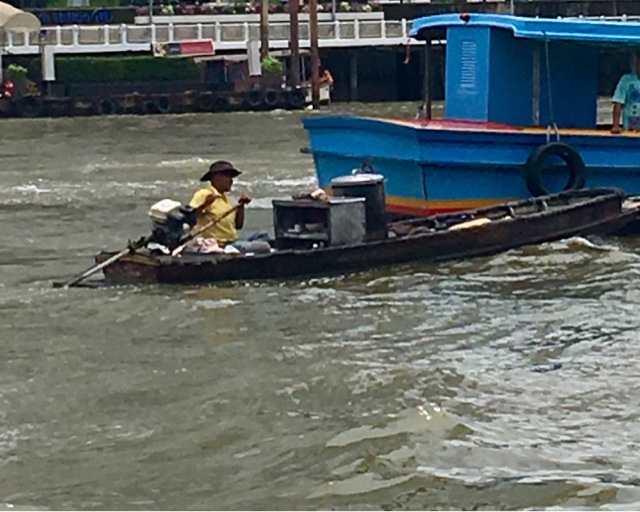 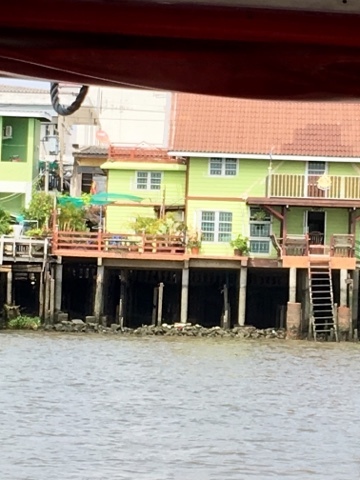 The Chao Phraya is lined with high-rises, industrial sites, ways, shrines, and the navy headquarters. 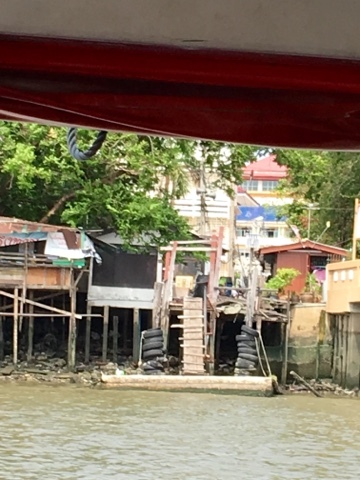 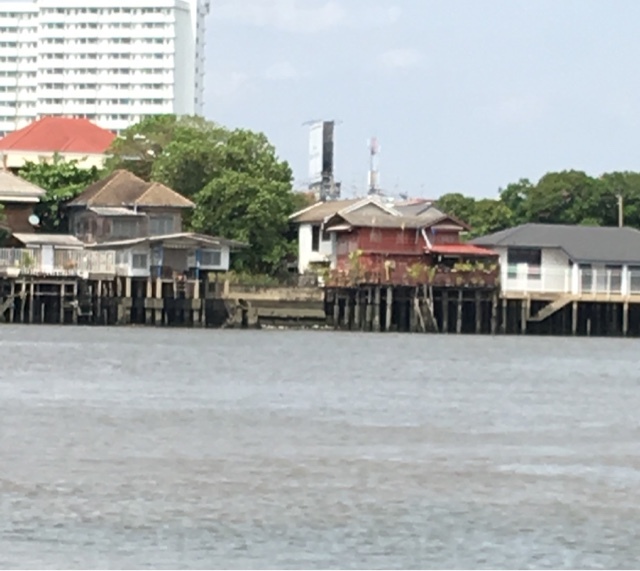 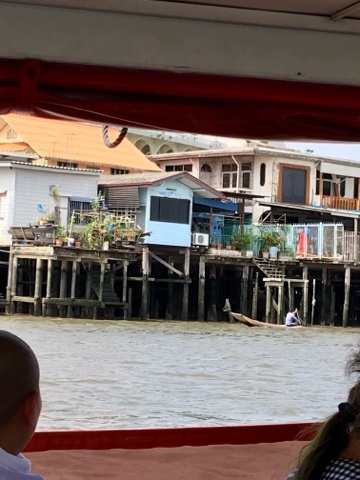 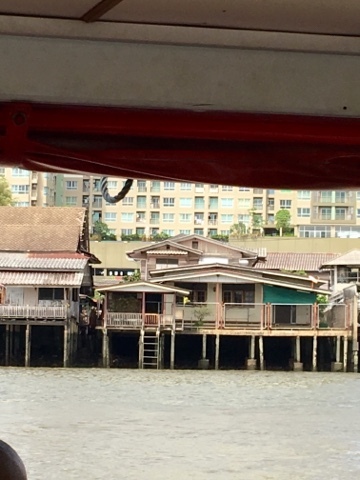 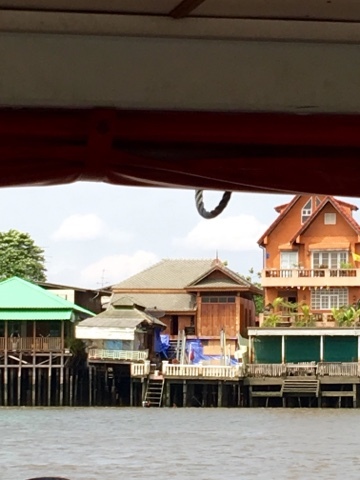 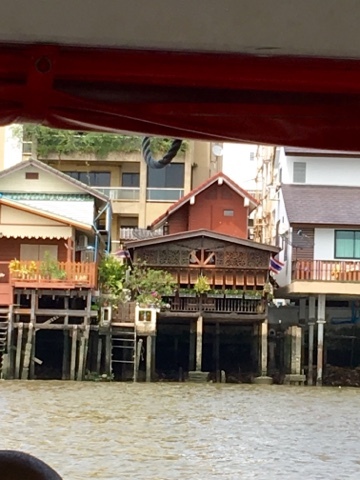 We enjoyed passing one residential area of houses that resemble similar "neighborhoods" in the khlongs (canals) we've toured on previous visits.